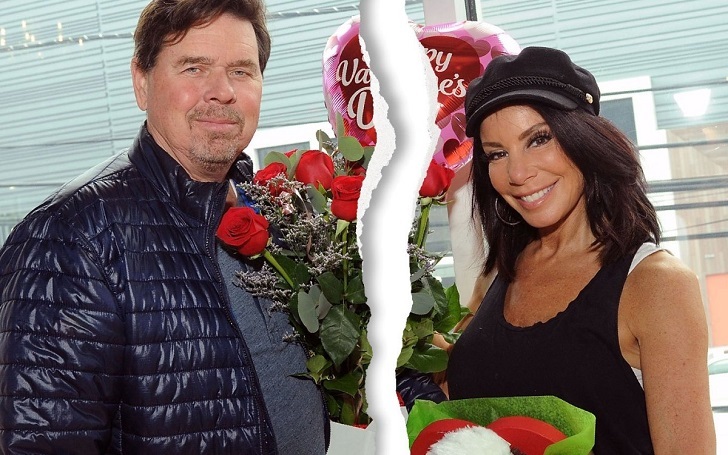 Marital relationship between Danielle Staub and Marty Caffrey has officially ended! It's been nearly six months since The Real Housewives of New Jersey star filed for divorce from her estranged husband and the filing has finally been finalized. The pair finalized their divorce at the Bergen County Courthouse on Thursday, February 21, after less than a year of marriage. The clerk said the two "barely looked at each other" and "did not look happy". A rep representative for the Bravo personality exclusively told Us Weekly, "Danielle is extremely relieved this toxic situation is coming to a close and looks forward to getting her life back." As we previously reported, Danielle filed divorce papers in court, just after four months of marriage. The had tied the knot on May 5 in the Bahamas in front of Bravo cameras. The duo's split had come shortly after the television personality filed a temporary restraining order against Marty, 66, following a quarrel at their home. The altercation between the two began after Danielle found her husband "under the influence of alcohol, agitated and confrontational." He had also accused Danielle of threading "to stab [him] in the neck at least a dozen times" at the time.